The world's most popular and second largest use Web Browser Mozilla, has revealed photos of its upcoming Mozilla Firefox 8 web browser latest user interface designs, looks and function. The new look of Mozilla Firefox is seems to be clean, nice and tidy as compare to its previous release. The new and refreshed design of Mozilla's web browser will be seen in Firefox version 8 for users. 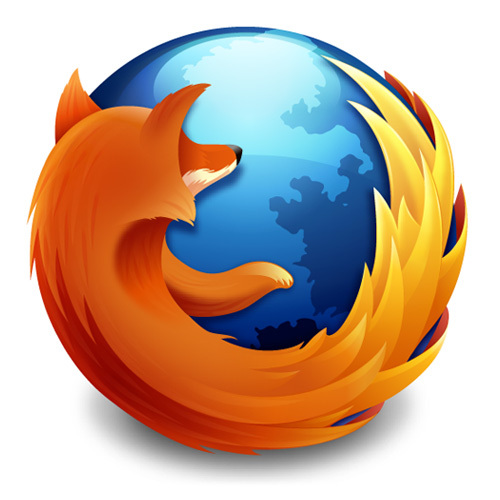 The next version of Mozilla Firefox 8 will be released in early 2012. With the several changes in interface design of Firefox, Mozilla have appeared to keep to their word in removing the standard "http://www." from URL addresses in the navigation toolbar. The company recently talked about the idea of reducing the amount of space that tabs and the address bar take up, and this is reflected in the latest nightly builds which show an integrated URL/search bar and the movement of the tabs into the top window area. You can download the latest available versions here. Mozilla have also been trialing several other alterations that can be viewed on one of their presentation pages. In a recent speed test, Firefox 8 displayed results that put it 20% ahead in terms of speed when compared to the current Firefox 5.